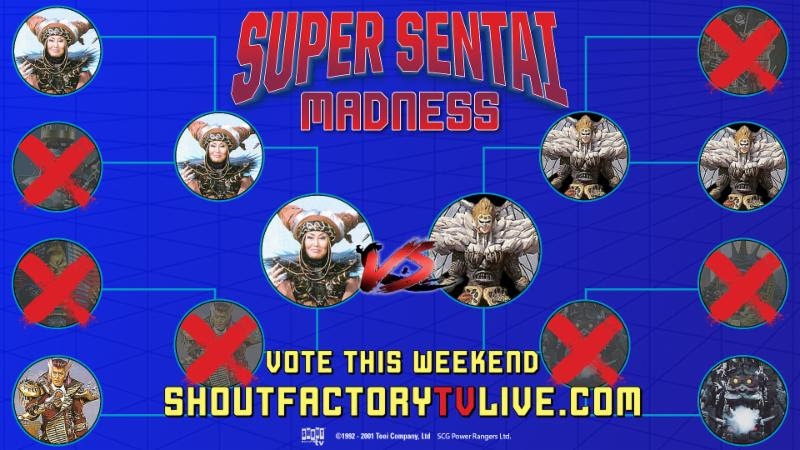 After two weeks of fans voting for their favourite villains, bracket-style, the final match-up is between the Witch Bandora of Zyuranger and Grand Witch Grandiene of GoGoFive. From the show that inspired Mighty Morphin Power Rangers, the Super Sentai franchise has given rise to some of pop culture’s fan-favourite villains. Super Sentai Madness’ Evil Eight started with villains Witch Bandora of Zyuranger, Emperor Bacchus Wrath of Ohranger, Reckless Dash Emperor Exhaus of Carranger, Dr. Samejima of Megaranger, Captain Zahab of Gingaman, Grand Witch Grandiene of GoGoFive, Don Dolnero of Timeranger and The Org Master of Gaoranger.